In this post, I will talk about how I connected and interfaced with a PS2 Keyboard using an Arduino. First we'll start with the basics; Soldering the PS2 port onto a strip board. This setup will allow me push in wires into the headers to access the PS2 Port. 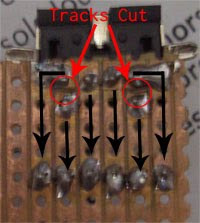 The tracks need to be cut where there are the red lines on the above picture. We will be using the above four (colored) pins for our project (the pin on the right of the VCC pin and the one below the VCC pin will not be used). Now all that's left is to plug in the Keyboard to the PS2 Port. To read the keystrokes with the Arduino, I used the following: PS2KeyboardExt2, which is basically an extension of this library: PS2Keyboard. 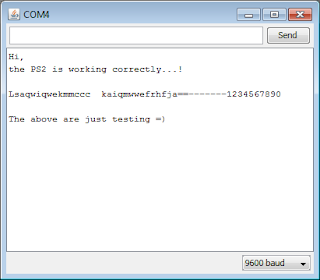 So first download PS2Keyboard and extract the library to your /hardware/libraries/ folder and then download PS2KeyboardExt2 and overwrite the PS2Keyboard.h and PS2Keyboard.cpp files with the latter version. // and check that the caps_lock key sets the caps_lock light. // Pressing <esc> key should reset the keyboard and you should see all 3 lights go on briefly. 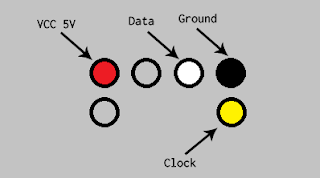 Notice that directives KBD_CLK_PIN (clock pin) and KBD_DATA_PIN (data pin) are set to 3 and 4 respectively, and this corresponds to the way we hooked the PS2 port to the Arduino before. The following are the two different ways I've unit tested for Exceptions with Visual Studio 2008. As you can see from the above example, if the exception isn't thrown, Assert.Fail is called which fails the test; and if it is thrown, we succeed the test with Assert.IsTrue. But Visual Studio 2008 offers a better way on how to deal with exceptions, by using the ExpectedException Attribute. As you can see from the above output, the text does not wrap but just keeps going off out of the page. 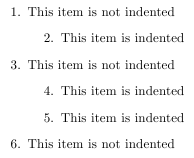 A \section in LaTeX doesn't insert a page break and start a new page automatically. The above redefines the \section command to include the \newpage when using the \section. As you can see from the above output, Firebug is reporting anonymous() for all the functions.